Bambos Charalambous, chair of the IWA Specialist Group on Intermittent Water Supply, highlights the need for action on non-continuous supplies, reflecting the “leave no one behind” theme of this year’s World Water Day. Intermittent water supply (IWS), as the term suggests, is the non-continuous supply of piped water to users that is anything less than 24×7, where the lack of continuity does not relate to temporary interruptions due to fixing of pipe leaks or breaks. IWS occurs mainly in low and middle income (LAMI) countries. 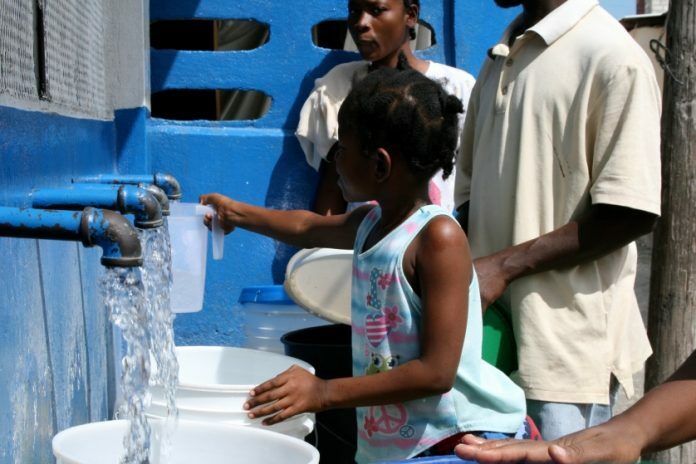 For the 6.4 billion living in such countries, only 2.9 billion have access to piped water. This gap in access is of course hugely important in its own right. But on top of this deficit, an estimated 1.3 billion out of the 2.9 billion are affected by IWS. With the adoption of the UN 2030 Agenda for Sustainable Development, 193 countries pledged to “leave no one behind” and “endeavour to reach the furthest behind first”. Indeed, “leave no one behind” is the theme of this year’s World Water Day. IWS affects the “furthest behind”. It affects people in high income countries as well as low income countries. To achieve SDG 6.1., the goal of universal and equitable access to safe and affordable drinking water for all, it is unquestionable that the issue of IWS must be addressed and resolved as far as possible. IWS is considered by some as a water saving measure. However, in the medium to long term it leads to greater quantities of water being lost due to leakage and wastage. The consequences that arise as a result of IWS are many. These include contamination and public health issues, increased difficulties in detecting and fixing leaks, illegal connections and meter tampering, meter malfunctioning and accelerated wear and tear, ineffective supply and demand management, and inefficient operations. IWS leads to a downward spiral whereby increasing urbanization and subsequent higher water demands are met with a poorly planned and expanded network. This lowers the quality of service to consumers and leads to inadequate water supply. Although some of the more privileged users may carry out private investments to improve the service they receive, most people will endure a poor service. Corruption and conflict amongst different citizen groups can result. A poor service will in turn mean that people are less willing to pay. The result is that utilities will have less income and fewer funds to deal with more bursts in the network. The end product is a deteriorating network with increased leakage and higher non-revenue water overall. To stop the IWS downward spiral, it is imperative that a structured approach is established and the required (short, medium and long-term) interventions put in place in order to assist water utilities. These will allow the utilities to acquire the capacity, know-how and expertise to operate their systems through the introduction of modern management systems, procedures and equipment. Tangible and practical actions should be effected through structured interventions within the framework of strategic action plans which are based on a validated baseline assessment and which will entail a phased approach in gradually transitioning the network operation from IWS to continuous supply. Transitioning from an intermittent supply to a continuous one, although not an easy task, can be achieved in a cost-effective sustainable manner, combining improved operations with targeted capital works. This approach has to be based on sound data, good technical modelling, the introduction of good management practices, particularly in relation to commercial and technical efficiency, and the assessment of different options to find the most cost-effective solution. The IWA Specialist Group on IWS provides a platform to share experiences on issues and solutions pertaining to IWS. These are also the focus of the First Intermittent Water Supply conference in Kampala, Uganda, 7-9 April 2019, organized by the IWA Specialist Group on IWS and the Ugandan National Water and Sewerage Corporation. For more information, see www.iws2019.org.